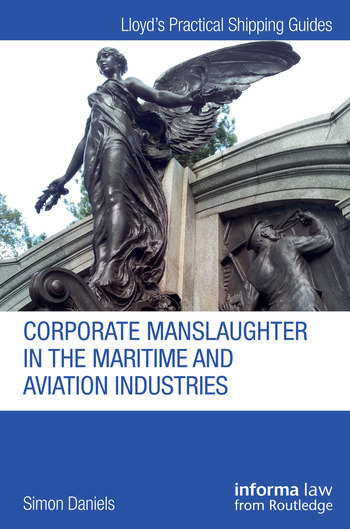 This book provides expert analysis of the application of　the evolving law in Corporate Manslaughter　as it relates to the Maritime and Aviation industries. It will prove to be a useful tool for practitioners and students in this specialised area, as well as those working in the maritime and aviation industries, such as those who will be accountable under the Corporate Manslaughter Act 2007; the Masters and Pilots who manage the risks; and the insurers who underwrite the cost of the risks. 1 Introduction: Justice or Criminalisation? Dr Simon Daniels is a Senior Lecturer in Maritime Law at Southampton Solent University, where he teaches in the Merchant Vessel Operations programme at Warsash Maritime Academy, one of the world's leading centres of excellence in training for merchant shipping professionals. Dr Daniels is also a Solicitor of the Senior Courts of England and Wales, and has a background in private practice representing clients in maritime, criminal and commercial litigation, as well as being a Qualified Dispute Resolver and, up until 2009, a Member of the Faculty of Mediation and ADR.